There’s never been an easier way to plan and visualize beautiful, new outdoor surroundings than with HGTV®’s landscape design software. 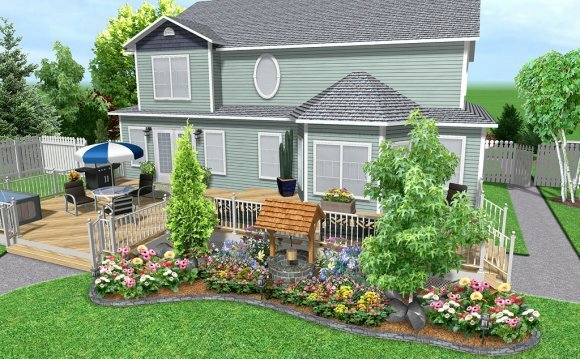 From lighting, pathways and plants to decks, gazebos and more, this powerful, easy-to-use software lets you transform an outdated yard and garden into a flourishing, fresh and functional landscape – right before your eyes! Creating your new deck is easy with the Deck Builder Wizard - just select materials and dimensions to create your space, then add plants, fences and accessories for that finished look! Our Plant Encyclopedia has more than 7, 500 trees, plants, flowers, shrubs and groundcover options with important information about light, watering and soil requirements.